The clouds parted for the Graduate School of Social Service (GSS) commencement ceremony, held on May 23 on the Rose Hill campus for more than 700 graduates. 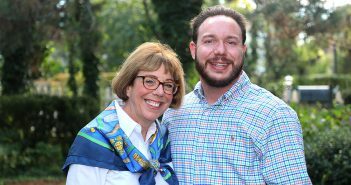 After days of rain, thousands of family members and friends gathered on a sunny Jack Coffey Field to cheer on future social workers who exemplify the Jesuit ideal of being men and women for others. Highly ranked and aligned strongly with Fordham’s mission of service, GSS produces graduates who work throughout the New York region and beyond to help empower people who are abused, incarcerated, addicted, disabled, and disenfranchised. 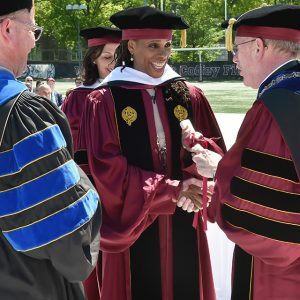 Fordham presented Williams-Isom with an honorary doctorate at the ceremony, where she recalled an upbringing that was not unlike the clients of the future social workers. She said that she and her mother were “terrorized by domestic violence” until a concerned neighbor called the authorities to intervene. “What that neighbor did for me changed the trajectory of my life,” she said. It was a theme that resonated for many in the crowd, as several said they were called to social service in attempt to break cycles they witnessed in their own families and neighborhoods. Gloria Key, who received a Master of Social Work (M.S.W. ), said that some of the coursework brought back suppressed feelings of troublesome experiences. Xaniel Alcantara surprises his sister Stephanie Peña. Just one week before graduation, Key’s daughter, Shauniqua Key, graduated with an M.S.W. from the University of Pennsylvania. She said that bearing witness to trauma can help in understanding clients. “It helps with that empathetic role you have with your clients, just letting them know that you understand where they’re coming from,” said the younger woman. 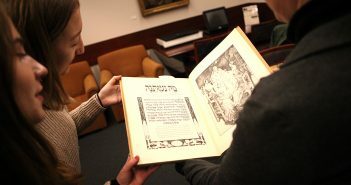 Both mother and daughter touted the value of having social work schools at private institutions like Fordham and Penn. “It’s important that people who work in impoverished neighborhoods go to school here to help enlighten others,” said Shauniqua Key. 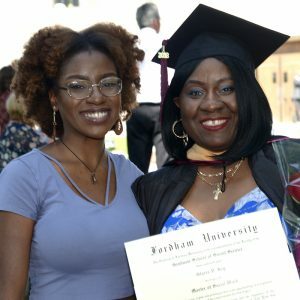 With so many graduates talking about how their relatives supported and inspired them, families fostering the call to service became a theme of the day. But that support wasn’t limited to careers in social services. 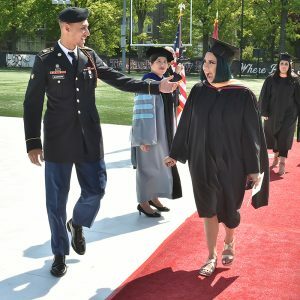 On leave from the U.S. Army, Specialist Xaniel Alcantara showed up on stage to surprise his sister Stephanie Peña, who graduated with an M.S.W. His mother, Anna Nieves, was also unaware her son would be there that day, making the reunion even more emotional. Alcantara credited his mom with the family’s call to service. The graduates’ accomplishments also had a profound effect on their families. 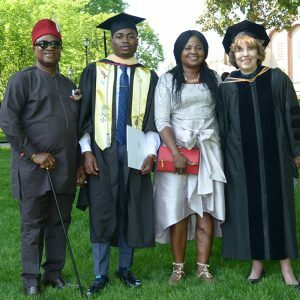 MSW graduate Oruada Oruada’s parents, siblings, and cousins traveled from Nigeria and Atlanta to see the eldest son in their family graduate. In concluding her remarks, Williams-Isom pointed to the stands filled with family and friends and encouraged the graduates to lean on them when times get tough. “You are going to hit the wall, and these are the people you’ll need for support,” she said.